In de-platforming news this week, Amazon is now no longer selling books that present a dissident perspective. The de-platforming here is not total, though you have to think that “not” should probably be “not yet.” As of this morning, March 1st, Paul Kersey’s books are still available: the one titled Stuff Black People Don’t Like, and the no-punches-pulled books about the decline of American cities like Detroit, Baltimore, Chicago, and Birmingham. You can still buy Colin Flaherty’s book White Girl Bleed a Lot on Amazon, but for some reason not his other book Don’t Make the Black Kids Angry, which I think is Colin’s best-seller. Jim Goad’s book Whiteness: The Original Sin, a landmark in Anti-anti-white Studies, which I am currently reading with pleasure and instruction, is still for sale on Amazon. Amazon’s coverage of Jared Taylor’s books is a bit peculiar. They actually have pages for only two of Jared’s books: the one on Japan he published in 1983, and the 1992 book that first brought Jared to my attention, title: Paved With Good Intentions: The Failure of Race Relations in Contemporary America. The way it came to my attention was, I saw it reviewed in National Review, to which I was a subscriber. The reviewer was some guy named … let me see … Pe-ter Brim-e-low, I think that’s right. 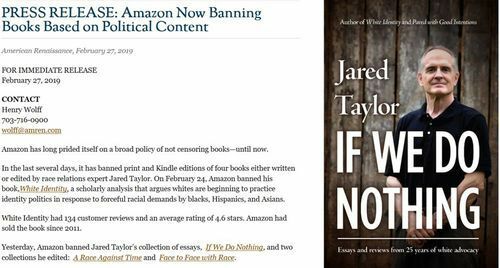 Jared’s later books, including his latest, the 2017 title If We Do Nothing, have no Amazon pages. They’ve been scrubbed. And yet—here’s the peculiar thing—if you go to Amazon’s Jared Taylor page, it gives a potted biography of the author that includes a list of his books. The list also omits If We Do Nothing, but it includes Jared’s 2011 title White Identity: Racial Consciousness in the 21st Century—for which there is no Amazon page! What a mess! The most parsimonious explanation here is that the Winston Smiths at Amazon—the guys in charge of stuffing politically-incorrect books down the memory hole—just aren’t yet very good at their job. One has to assume they’ll get better with practice, and that five or ten years from now Amazon will be perfectly cleansed of any books containing Bad Thoughts. Amazon will then be white as the driven snow … although that is of course not quite the right simile here. It goes without saying that the anti-white rants of authors like Cornel West and Ta-Nehisi Coates are available for purchase on Amazon; not to mention, as Henry Wolff points out over at American Renaissance, The Anarchist Cookbook, Osama bin Laden’s justification of terrorism, and black nationalist manifestos by the likes of Louis Farrakhan. I don’t know which is more disturbing: that educated young people are less tolerant of hate speech than Americans at large, or that the bogus, dishonest, totalitarian concept of “hate speech” is now common currency. That’s where we are, though, and to judge by that difference between young college students and Americans at large, we’re headed deeper into the darkness. Will "Late Mass Democracy" Become 1984 or A BRAVE NEW WORLD? 28 Comments to "Digital Bookburning: Amazon Gets Woke"
Note to Colin Flaherty. When you get an order for White Girls Bleed, fulfill the order with Don’t make the Black Kids angry. You won’t get a single return. I’ve mentioned this before but I’d swear that somebody’s working on reducing access to certain books from the other side, too. I find books critical of Jews are very scarce and expensive on used book websites. I was just looking for Caro’s bio of Robert Moses and the cheapest hardcover copy with shipping was around $70. The book went through several editions and I’d guess that well over 100,000 cloth bound copies were published. Most old books of this nature are available for a few bucks over shipping. Having worked at an Upper West Side book store for several years, I can say The Power Broker in cloth was never out of stock. Admittedly, it’s a New York book. I know it’s a little nuts to wonder if there’s some organization out there memory-holing actual in-circulation books they don’t like. But the pattern, whatever the cause, is distinct. By the way, Moses was part of an “Our Crowd” family from New Haven but his funeral was held in an Episcopal church. So maybe he stopped being Jewish somewhere along the way. Say “black” when you mean “white” or use some other euphemism and publish whatever you like. Point is they use algorithms for this sort of this and they are sort of stupid. And our luck is that when a human scans the work he will be unfamiliar with most actual white concerns and pass it by. So the second point is, they are driving whites to speak in code and get creative. Hooray for all that. We need a rise in crypto-IQ for palefaces anyway. Since the country is clearly not ours anymore, using our own gypsy patois makes logical sense. This should have started over a half-century ago. Be prepared and all that. Most books by historian David Irving show the same pattern – available only at astronomical prices. Does anyone know if anything happened with the Kindle version of these books? Can previous buyers still access their copies? Fear of Amazon retroactively banning or censoring Kindle books is one of the reasons I prefer to have books in other formats. I do think you are right to observe a trend here, but in this case there is a hardcover copy on Abebooks for $13 shipped right now. And several paperbacks in the $15-16 range. Quite telling that they call their reader tablet “Kindle Fire”. And if there are no bizarre non sequitur words in that sentence, it’s because I’m not on our Fire, but at a library PC. Fire’s autocorrect is arrogant. Way worse than the others I’ve tried. Bookfinder.com includes Abebooks, Amazon, and a lot of other options. It’s kind of a meta-engine for book searches. One of the better things to come from Indian immigrants. But then, the guy’s in the Bay Area and overassimilated, supporting gay marriage and what-not. Thanks. I’ve tried using BookFinder.com before and for some reason never got into the habit (did it not used to include shipping charges?). But it did a great job of finding many copies of this book just now. Perhaps I need to give it another try. 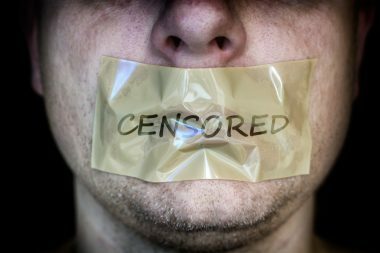 The first amendment protecting speech is not so much saying that all speech is good, but rather, the government is wholly incompetent in determining what is good and what isn’t, especially with regard to political speech. Over my adult lifetime, I’ve seen free speech eroded to the extent that what is being censored are uncomfortable or impolitic truths. Let me suggest that the clumsiness of Amazon’s censoring derives from having a warehouse distribution system of a design that did not anticipate retrofitted censorship. Mr. Bezos set out to have unlimited availability of any book at Amazon – until prevailed upon by certain “enemies of the truth”. Some forbidden books have been made available on the web in pdf by volunteers, among which: Henry Ford’s “The International Jew … ” at the Unz site. 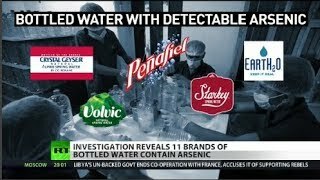 Imperialist oligarchs clamp down on nationalist thinkers. It has two settings– with and without shipping. Make sure you’re on the right one. That’d only work if Mr. Flaherty was distributing the books himself, using Amazon for advertising and payments. I looked at the one book, and there was amazon and a dozen or more other vendors selling new copies. As a commenter below said, Amazon may not be set up very well for screening all commentary about a book or item completely. Those writer pages would need a lot of personal attention, while the actual book page can just be wiped out as the ISBN for that book (same as any other item) is taken out of the active database. I will say that between reviews (the original idea of user-generated content) and comments on reviews (a somewhat new thing to me), there are plenty of places for people to put in plugs for the books. However, they still can’t be ordered off of amazon, and I doubt you can put links in either. There’s a work-around for everything though. Thanks. I had capped my search at 1985, looking for original format. I didn’t realized the book had been republished so recently. Also, I had never used bookfinder. Thanks Reg. Well, of course, since edjumacation, as I prefer to call it, now largely consists in totalitarian leftist cultmarx brainwashing. You can bet the 52% who disagreed, or never heard of it, are mostly STEM and business students. So funny to still hear people say “Studies show the more educated voter votes Democrat” etc. as if that meant something. Pew has produced charts showing that just as younger people are in favor of the abridgement of speech, so are Europeans. In particular Germans, some 80% of whom believe people should be muzzled lest they say anything incorrect. Brits were the best from the Old World, but there was still a notable gap between them and Americans. But soon ‘our’ work will be done in all previously white nations, and there won’t be any inconvenient speech at all. What a great relief that will be–as language and thought are so closely linked–we shall forever after be spared the vexation of thinking. Kindles are OK, it seems. This itself explains the strategy: if Amazon had a dog in the fight, they could remove them from the online kindle library and your device; they did this, famously, with a bootleg edition of — wait for it — Orwell’s 1984. Instead, Amazon is simply removing the pages from their inventory; you can’t buy the book or kindle anymore. BTW, I hear that certain plugins for the Calibre ebook reader will remove Amazon DRM codes. What a coward Derbyshire is! Abebooks is owned by Amazon. 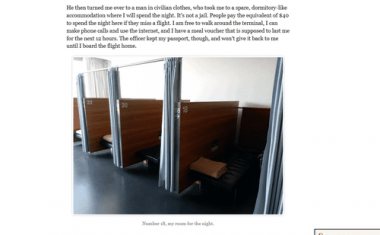 It’s probably just a matter of time before Abebooks is censored, too. So Derb, how are you going to make up the 12 quid a month? 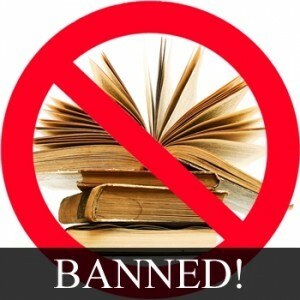 I own several banned books that have not been wiped from my Kindle. The books are available cheaply at David Irving’s own site and can be downloaded (completely) free as well. Those high prices in view of this might be said to be for collectors of first editions or the like. Me, I’m interested in the content. Amazon owns the Book Depository, too. Amazon is looking even worse, at this point, than Standard Oil did/was a hundred years ago. Where is Ida Tarbell when we need her? Me, too! I do this quite often, usually to check references. But, of course, I get access to the entire book in each case. Well, there’s not much need to suppress the expression of obvious falsehoods. I can cook up some theory that Pearl Harbor was staged and go on about it all I like. Nobody with any sense will pay attention to me. It’s those theories that are true or might be true that need to be energetically repressed. This becomes all the more necessary if the reigning orthodoxy is no longer based merely on certain selected truths, but on actual lies. I can come from a republic and listen with polite interest as you argue the virtues of monarchy; I cannot come from a society that formulates policy on the assumption that blacks are equal to other races and tolerate you pointing out that they are not.